Home / Entertainment News, Photos / This is where a Senior Government official is building a multi-billion hotel in Shanzu, he has grabbed part of the sea (PICs). 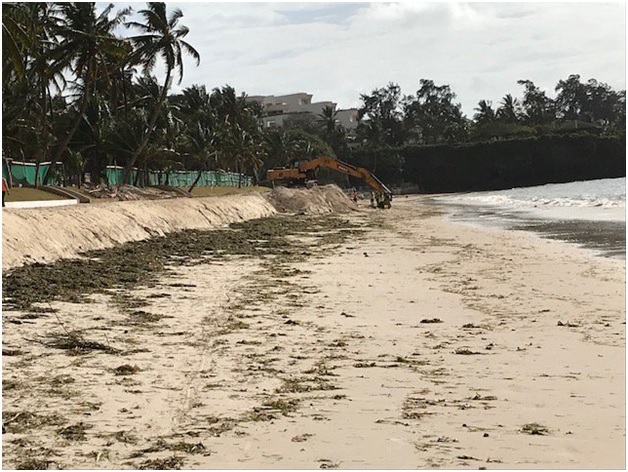 This is where a Senior Government official is building a multi-billion hotel in Shanzu, he has grabbed part of the sea (PICs). Thursday, August 16, 2018 - A Senior Government official who has been in the headlines over corruption scandals is building a multi-billion hotel in Shanzu, Mombasa, which sits on the sea land. NTV journalists who went to film where the hotel is being built were chased away like dogs and threatened.